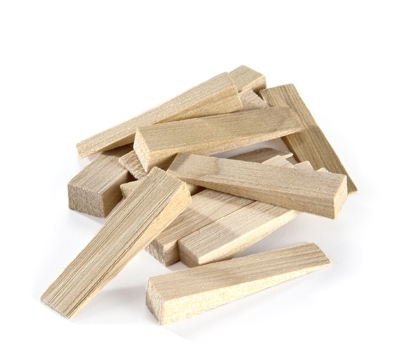 Wood wedges are used specifically for leveling slate quickly and easily. Small wedges measure 2" x 1/2" x 3/8". Bag of 100. Also available on this website individually.